The 2014 Street Child World Cup, organised in association with Save the Children, exploded into life today with the official opening ceremony enjoyed by a capacity crowd at the Lonier Maracanã. 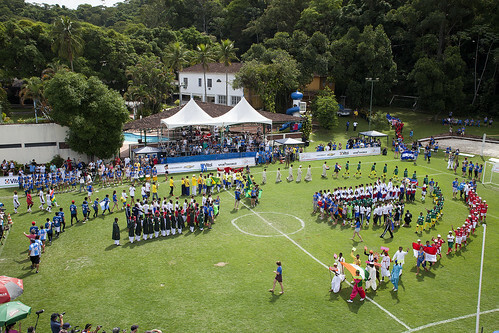 Renato Rocha, of Nós de Morro and formally the Royal Shakespeare company, directed the opening ceremony, which opened with an athletes parade to the soundtrack of the official Street Child World Cup anthem: I am Somebody. Adrian Reith, Chair of Street Child United, read a message of support from Prince William, who said: “This fantastic tournament shines a spotlight on the 100 million children around the world living on the streets. 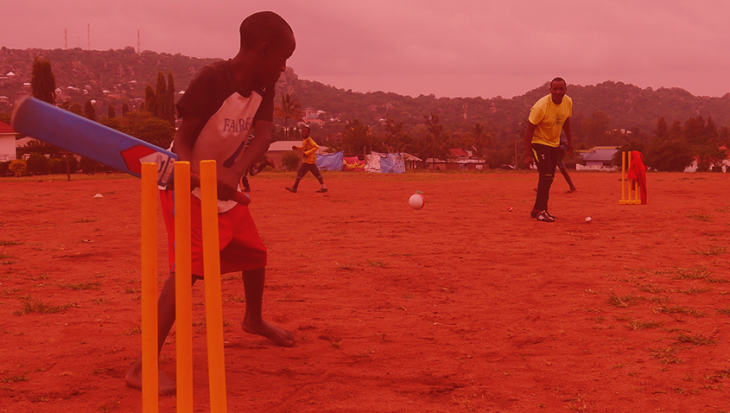 It unites them through the universal language of football, and gives them a global platform from which to be heard. 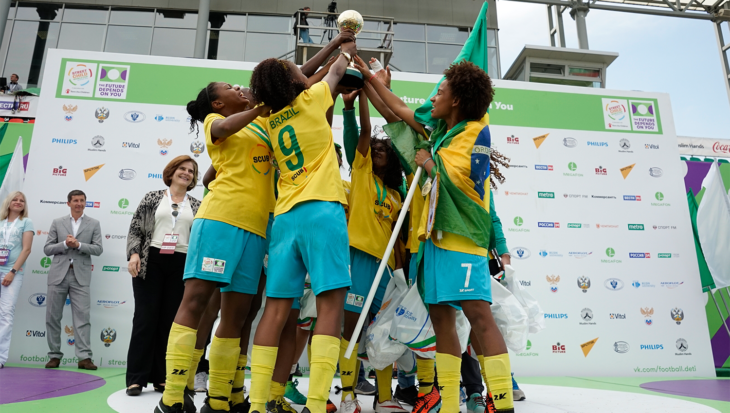 Gilberto Silva, FIFA World Cup winner and former Brazilian captain, presented the official SCWC match balls to the captains of the girls and boys teams representing Brazil at the Street Child World Cup. Luis Boa Morte also made a presentation of Chevrolet One World footballs to players from Team Indonesia girls and Burundi boys, who accepted them on behalf of all street children around the world. Players from Mozambique, El Salvador and England and Team Leaders from Kenya, Argentina and Brazil read the SCWC oath of fair play. The Archbishop then addressed the crowd, telling the story of Rodrigo, a member of the Brazilian squad to play in the 2014 Street Child World Cup who was tragically killed just six weeks before the tournament. Finally the ceremony concluded with a performance of Tshotscholosa, led by the Team South Africa but quickly joined in by the rest of the teams and the crowd.The 2014 Street Child World Cup is officially under way.